Happy Halloween, friends!!! 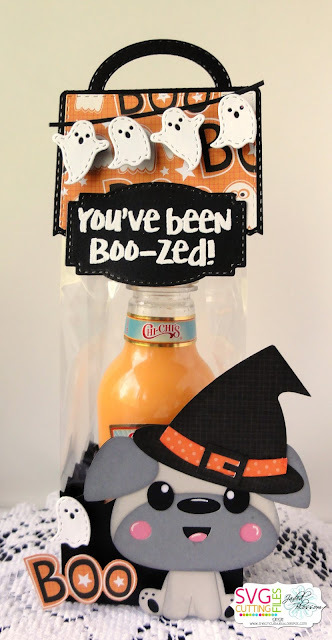 I hope you have a Boo-tiful day with family and friends! This is Melissa from M Miranda Creations and I have a couple of fun treats for you! My daughter's class visited a Care Center behind their school and put on a fall skit for the residents. Her teacher asked me if I could make something that the kids could give to them, so I made a bunch of these cute bookmarks! They were a big hit! I used Halloween Dies, Halloween Paint Splatters, Pumpkin Faces, and Pick Your Poison! I loved the cute little faces so much, that I decided that I would also use the ghost and the vampire face for the treats that I made for my husband and kiddos for Halloween morning. I also used Scallop Circle Dies and Stitched Circle Dies. Have fun trick or treating tonight. Stay safe and stay warm! 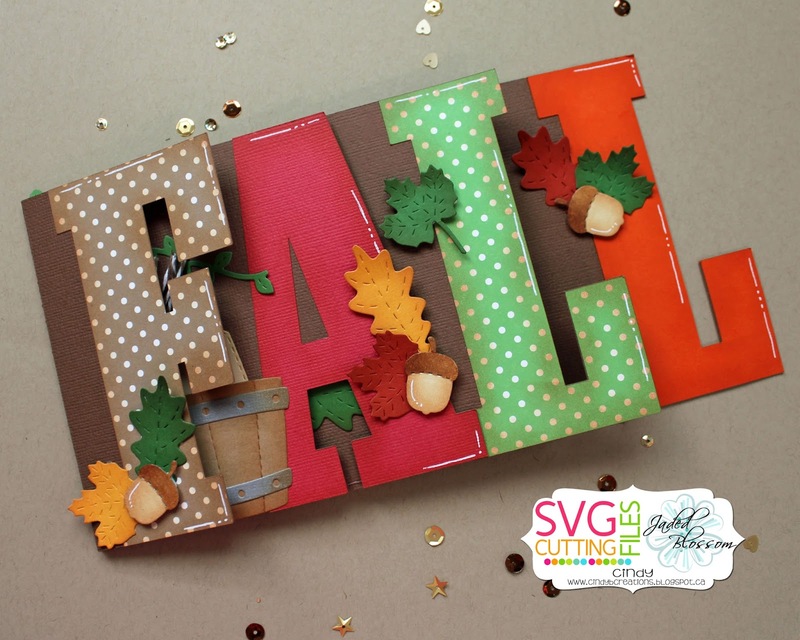 The bookmark svg file is from SVG Cutting Files. Hello everyone! 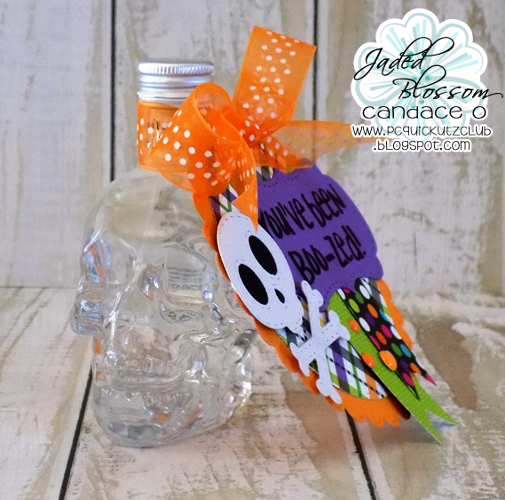 This is Tina from the Scrappin Rabbit blog and I have some Halloween tags to share. 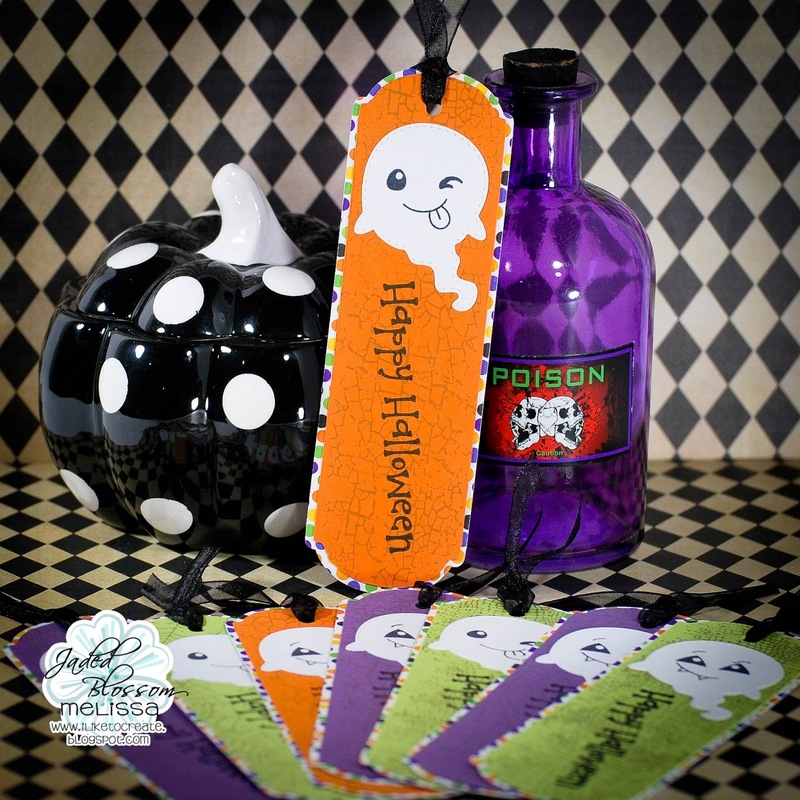 I used the Luggage Tag dies to dress up these fun tube of Eyeball Gumballs. 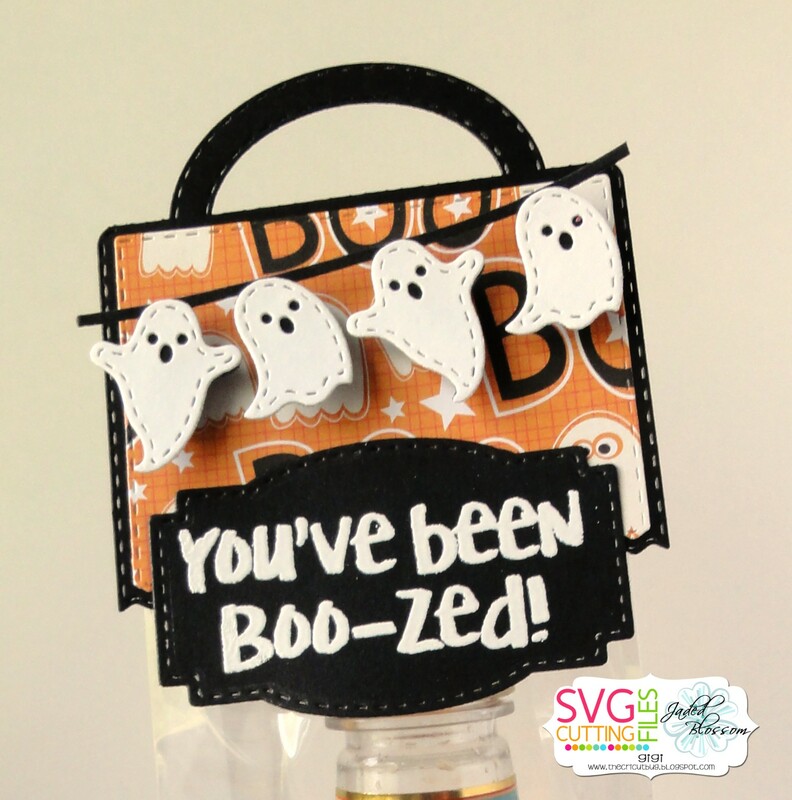 I stamped and embossed this adorable skeleton and sentiment. and Here are some toppers I made for a school fundraiser using the Fancy Topper die & the Label Shape dies. They were so quick and easy to do and fit a larger bag of goodies when folded sideways. 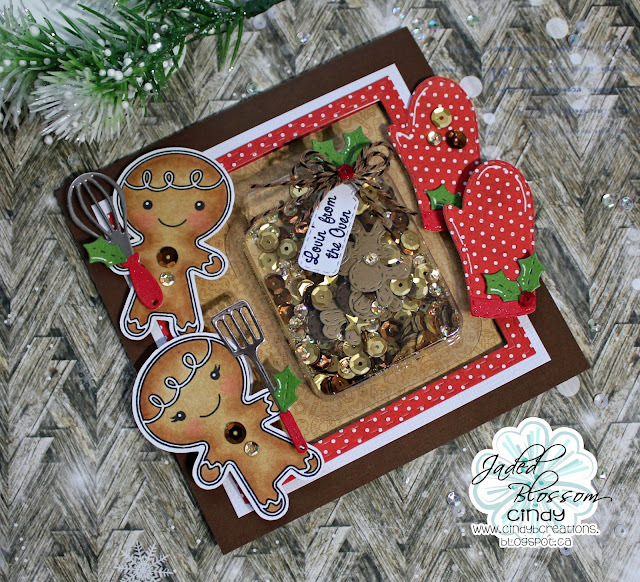 Stacey here and I'm back on the Jaded Blossom blog today with my last post as the October guest designer. A big thank you to Michelle and Candace for allowing me this opportunity!! I have had so much fun!! Today I decided to make a fun little gift to give to an adult, of course, using one of the sentiments from the Christmas Spirits stamp set that was released this month. I used one of the Candy Cane Tubes and filled it with some alcohol filled chocolates along with some paper shred to help keep them in place. 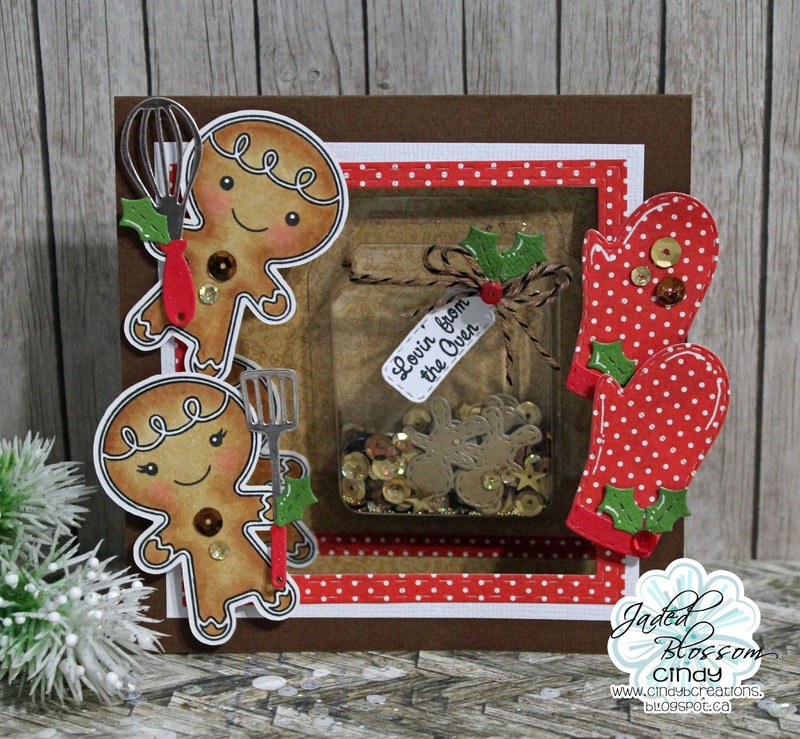 I cut out the tag using the Treat Tag Die and decorated it with a string of lights, cut from the Christmas Banner Dies (also released this month). I added some stickles to the lights for some sparkle. 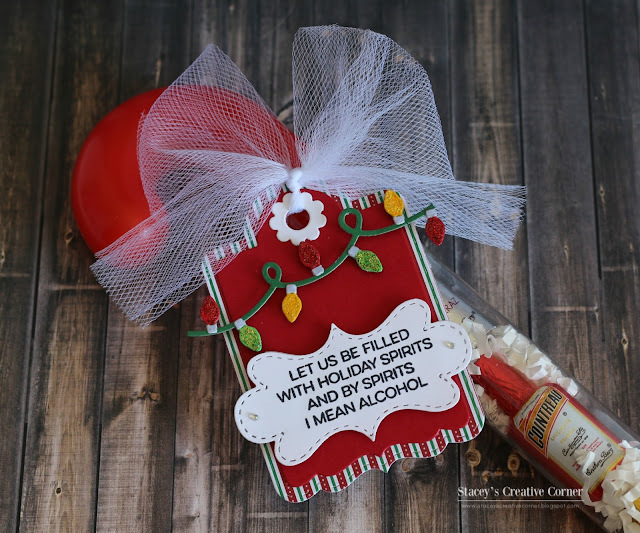 I stamped my sentiment from the Christmas Spirits stamp set and used the Label Shape Dies to cut it out. I popped everything up onto my tag with some foam tape. 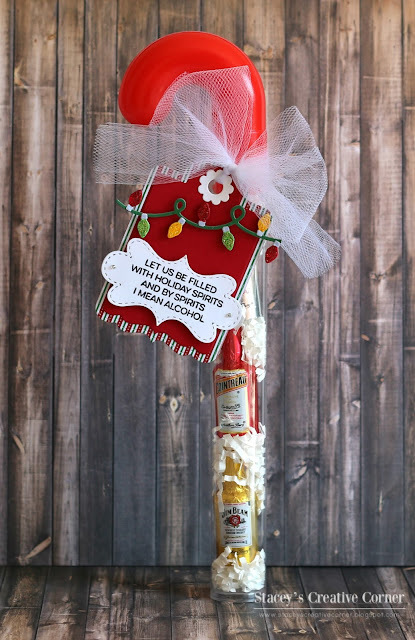 I added my tag to the Candy Cane Tube with some white tulle and voila!! Super easy project, easy to mass produce! I think these would be great for co-workers or secret Santa gifts! Hello! 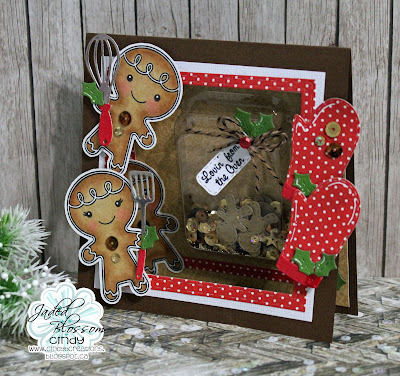 Mel from Doxie Mel Designs with a new treat idea for you. 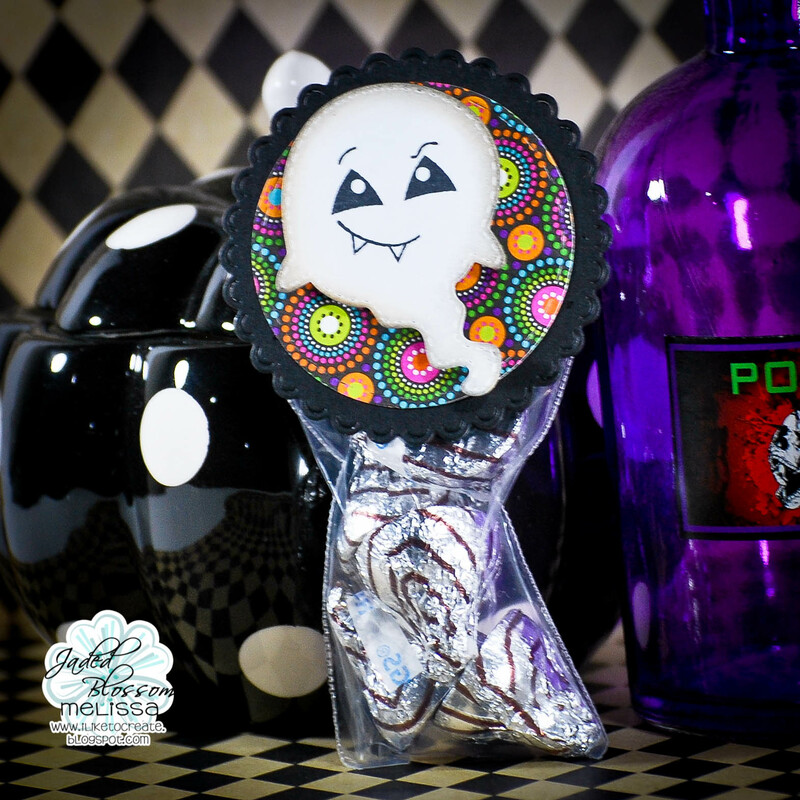 I saw this "sugar skull" lollipop and thought Jaded Blossom's Day of the Dead stamp set would go perfectly with this treat. The skull was white embossed and painted with watercolor paints. Here is a closer look at the tag. To make the skull glow, I colored around the skull with a black Copic Marker and added some gems. Hello everyone!! Candace and Michelle here with an exciting opportunity for YOU! We are looking for guest designers to take over the blog in December! 1) Guest Designer MUST use only Jaded Blossom stamps or dies with their project. 2) Days will be assigned to guest designer randomly by us, if you can't do it on your day we will do our best to find someone to change dates with you BUT no guarantees. If you can't do your day PLEASE let us know ASAP to find someone to fill your spot. 3) Blog Post Write ups (HTML version) MUST be emailed to our email address (admin@jadedblossom.com) 4 days in advance! We have a lot of guest designers to juggle so this will make everything much smoother for us! 5) You must have a current active blog! So.. who wants to be a December Guest Designer? Past guest designers are eligible! If we have more people interested than spots available, we will randomly draw for the spots from those who expressed interest. Email us at admin@jadedblossom.com by November 10th with "December Guest Designer" in the subject line if you are interested. Please include your name, blog address and if you are currently on any other design teams. We are having a Guest Design Team Member call!! Yes if you want to guest design for a month with the Jaded Blossom team then we want you! We are looking for 6 guest designers (for months Jan- June). Previous guest designers can apply, just please remember we do try to give everyone a chance so your chances at being a guest designer again are lower. If you are selected as a guest designer, 1 month (Jan-June) will be assigned to you. 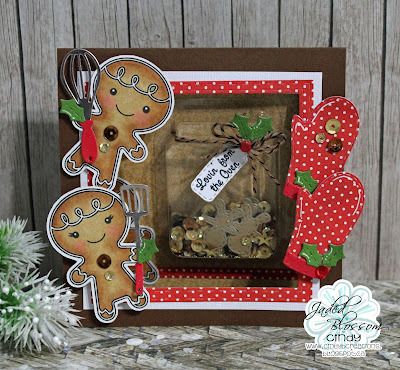 -Stamp Release Week Projects: 1 project a day, Monday through Friday, with a stamp release blog hop Friday Afternoon through Sunday. --1-3 Pictures of projects created that best shows your style. (can be older pics) PLEASE REMEMBER, we are a stamp company that focuses mainly on 3D items such as treats and party favors. Good Morning my crafty friends! 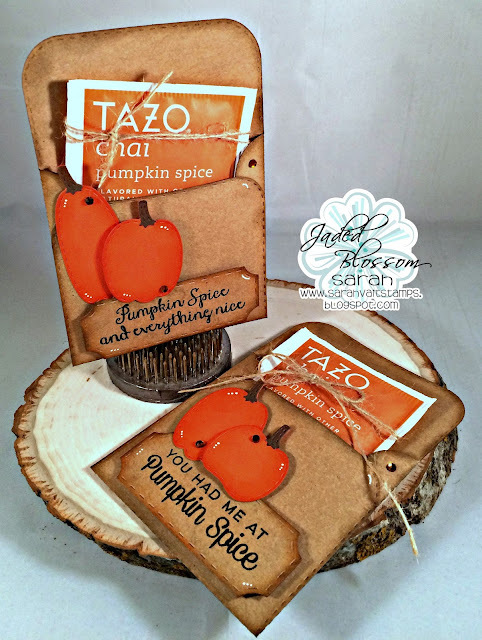 Sarah here with you all today sharing a great little tea bag holder--this tea is delicious and I knew I needed to create a great little holder with some fun sentiments to send these off to friends! Hope you all have a wonderful day! 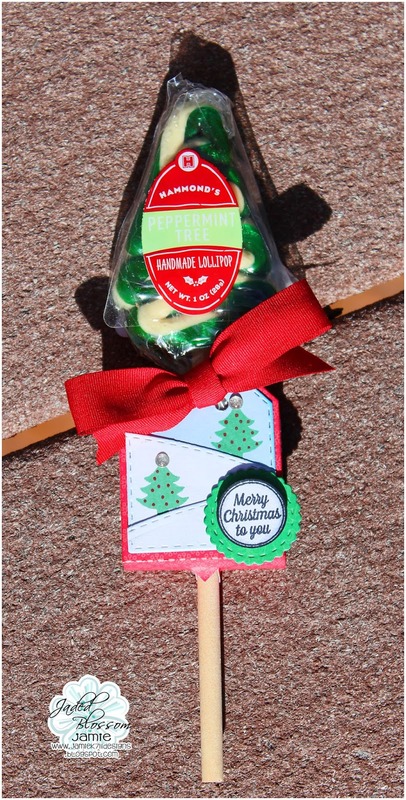 If you are looking for a perfect mailable treat this would be awesome! 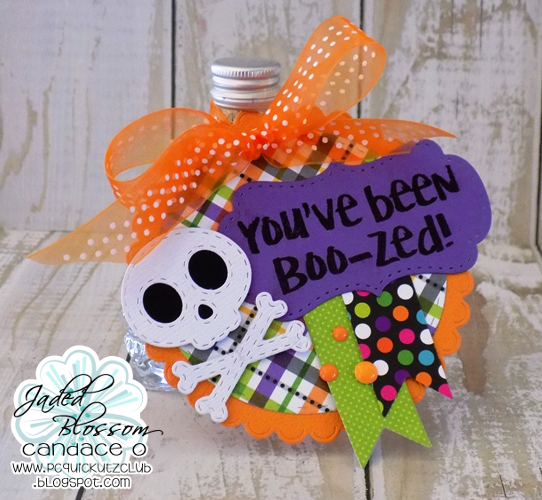 It's my day to take over the Jaded Blossom Blog as a guest designer for the month of October. 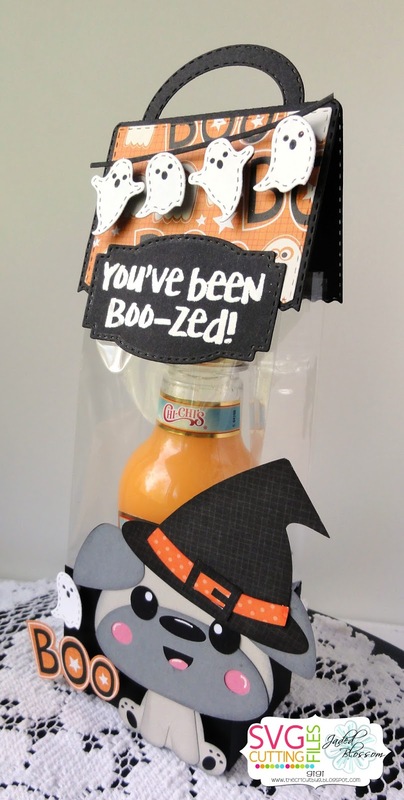 My kids are older and can't go Trick Or Treating anymore, which is sad cause I loved taking them when they were younger. I love sitting outside each Halloween night now though and handing out candy and seeing all the costumes. 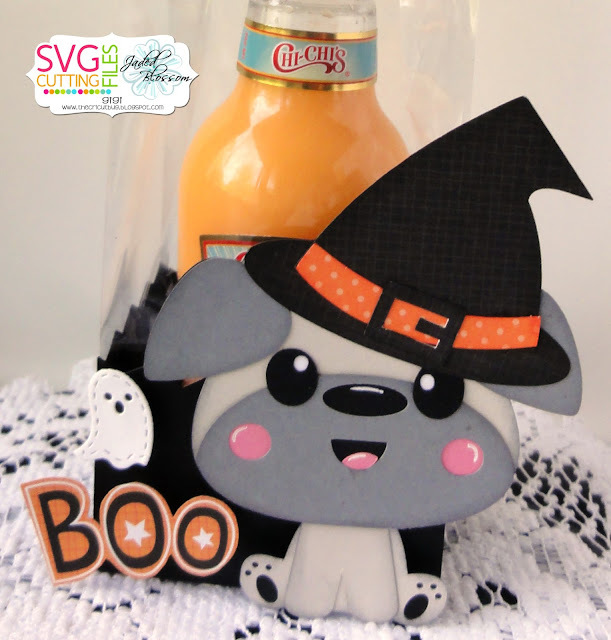 When I saw this fun greeting from the Halloween Poop 2 set, I knew it would be perfect to make some little treats for my kiddos. 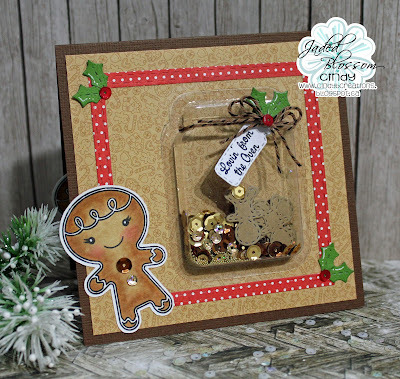 I used the Scallop Caddy Die to create my box and added some fun patterned papers to it. 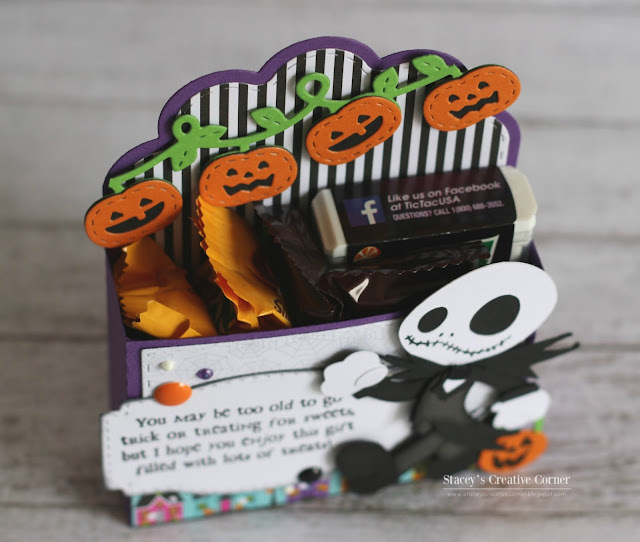 I cut out that cute little Jack Skellington (a svg freebie from a 2014 blog hop) and added him to the front. 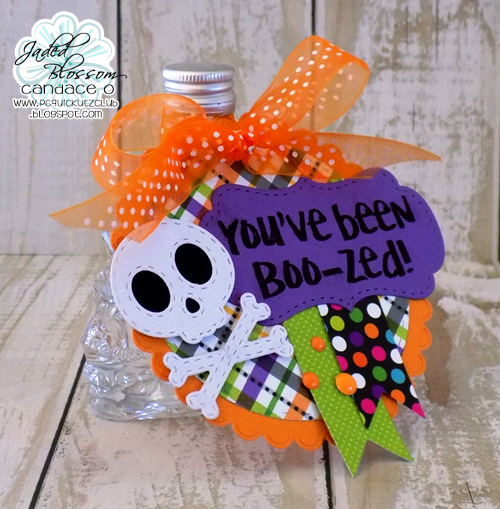 I used the Label Shape dies to cut out a label for my sentiment to go onto and then tucked it a little behind Jack. I added some enamel dots and the front was pretty much done. 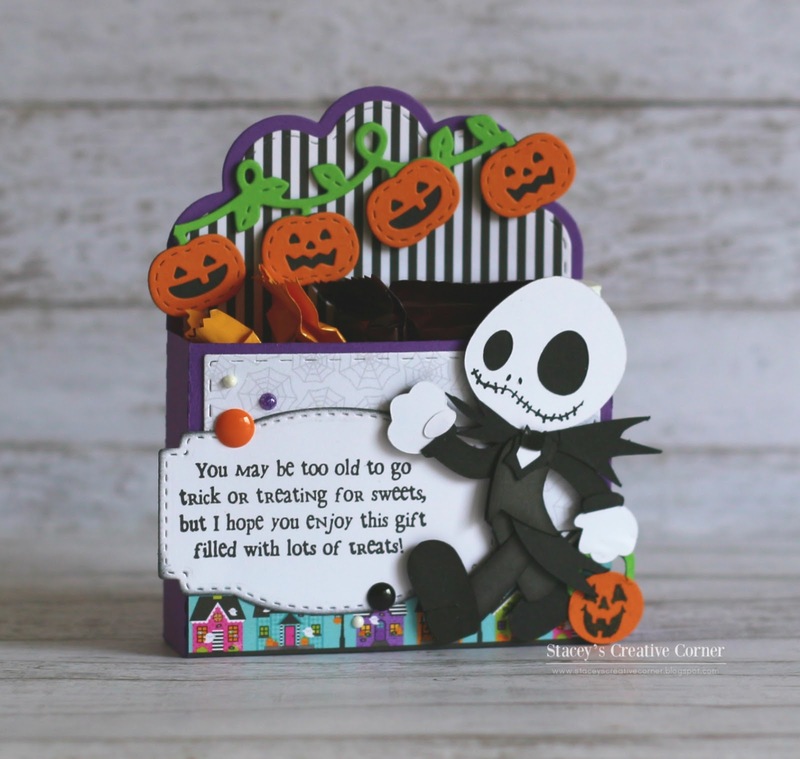 I added a fun little Jack O Lantern banner to the top back of my box using the Fall Banner Dies. I love those little faces!! I was able to fit 4 fun size candy bars and a box of Tic Tac's inside. Thanks so very much for stopping by today! 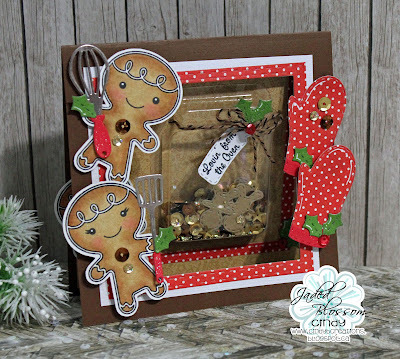 I hope you have a great crafty day!! Jamie here to share a fun treat using this month's spotlight set Christmas Candies! I used the Sweet Treats Die to make a little tag on the tree sucker. I added some layers of white that I made hills with the Border Dies 2 on top of the blue insert layer and stamped a few trees. Then I used a gel pen and a silver sprinkle to decorate the trees. 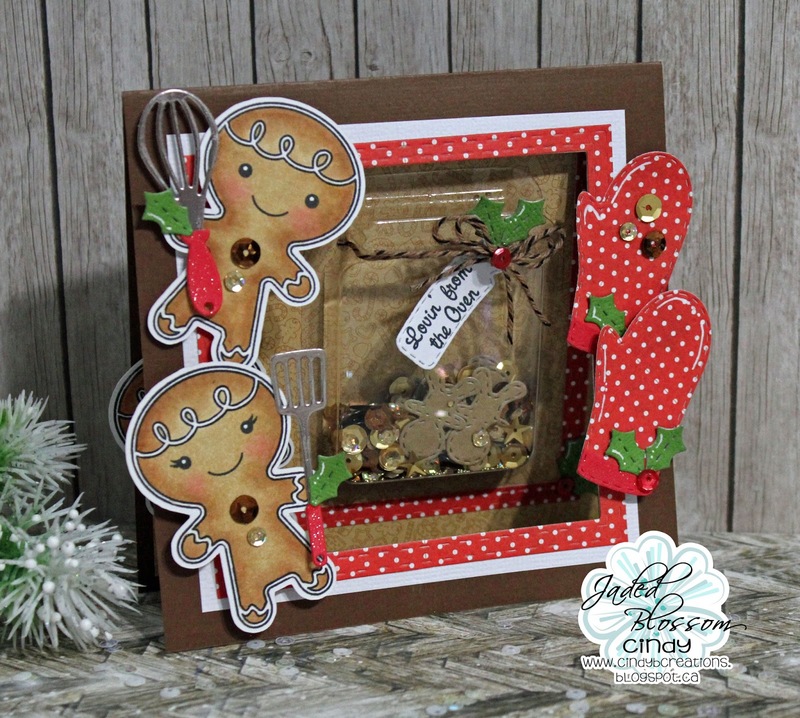 Last I stamped another Christmas Candies stamp and added it to a Candy Charm Die. 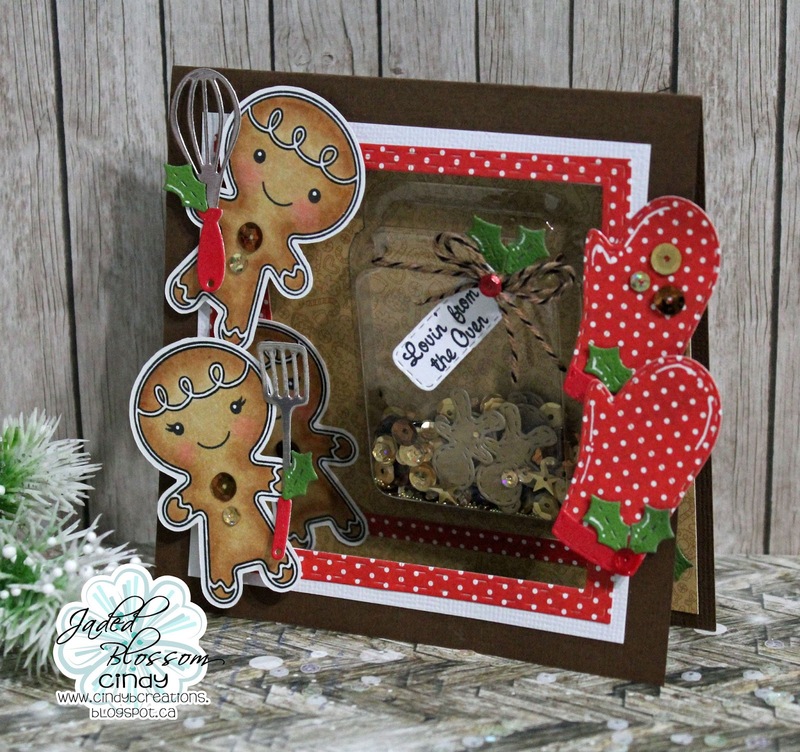 Hey, it is Melissa from M Miranda Creations and I have a treat for you today! 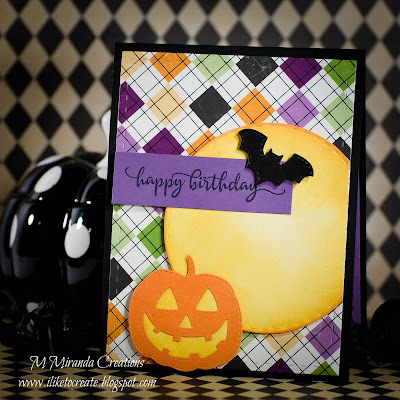 I have always wanted an October birthday so that I could get Halloween birthday cards; so when my niece had her birthday last week, I couldn't help myself - I had to make a Spooktacular card!!! and So Many Birthdays 3.